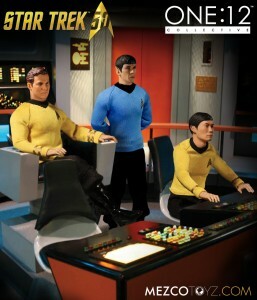 The One:12 Collective Star Trek The Original Series figures, on display at the New York International Toy Fair at the Mezco Toyz booth (# 4812), have both collectors and Trekies alike beaming with excitement. The first three offerings on display are fan favorites Captain Kirk, Mr. Spock, and Lieutenant Sulu. Carefully having studied reference of acclaimed actors; William Shatner, Leonard Nimoy, and George Takai, Mezco Toyz has developed likenesses of museum quality. Such detail in this six inch scale is truly impressive to see in person. The precision craftsmanship redefines the genre with a level of detail previously considered unobtainable. From incredibly accurate portrait sculpts to the smallest accessories the detail is extraordinary. The communicator has a working flip-top and the tricorder features an rotating top section. Further creating the hyper-realistic presentation, each figure features perfectly scaled real fabric costuming as seen in the original television series. All of this is skillfully assembled on the newly designed One:12 Collective bodies, each has over 28 points of articulation for maximum posability. All of The One:12 Collective figures come with a variety of character-specific accessories including alternate heads and hands as well as a posing post and display base with insignia. Truly, The One:12 Collective elevates the action-figure collecting experience. 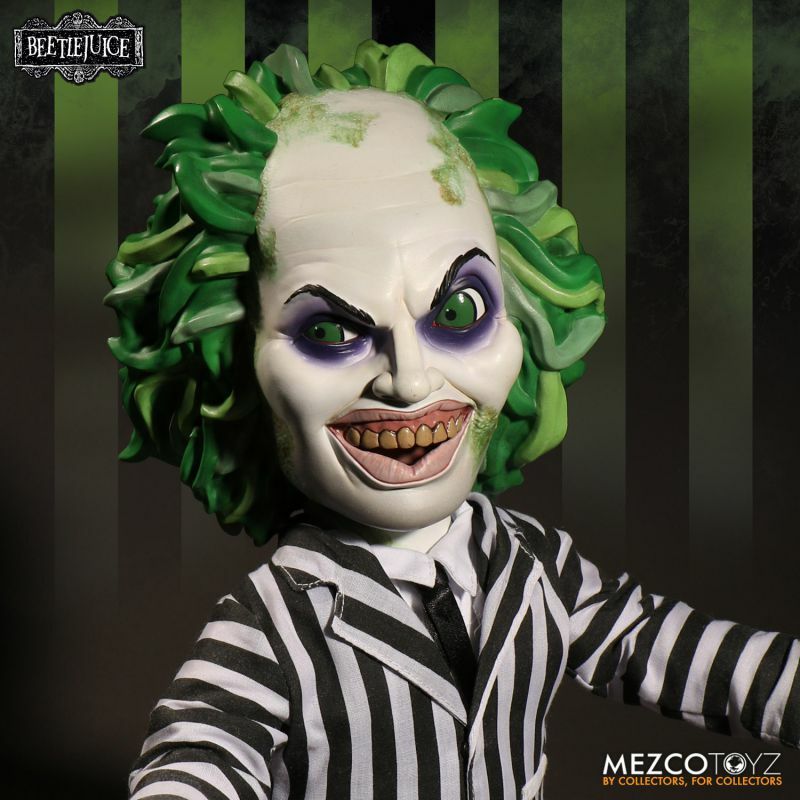 With hyper-articulation, durable construction, authentic likeness, precisely tailored costuming and meticulously designed accessories, it creates an incredibly interactive product that displays beautifully. Combined with characters from some of the world’s most high profile pop culture brands, The One:12 Collective is forging the next generation of collectables.